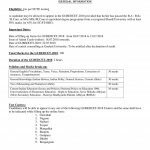 Admission to the B.Ed 2-years programme is subject to candidate appearing on the Gauhati University Entrance Exam for B.Ed. 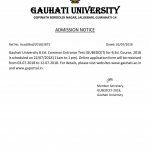 Admission for B.Ed 2018-2020 under Gauhati University is in progress. The dates of admission are 22nd , 23rd and 24th August 2018 at the Khetri campus.